Karsten Oberle received the Dipl.-Ing. (FH) degree in communications engineering from the University of Applied Sciences "Fachochschule für Technik" Mannheim, Germany, in 1998. Currently he is Project Manager in the Bell Labs Fixed Networks program research department at Alcatel-Lucent Bell Labs Germany. In 2005 he wons the Alcatel Research Award "Intelligent IP Infrastructure Project Most Innovative Project & Best Patent Contributor". In 2008 and 2011 he has been awarded for his technical excellence inside Alcatel-Lucent being a member of the Alcatel-Lucent Technical Academy. 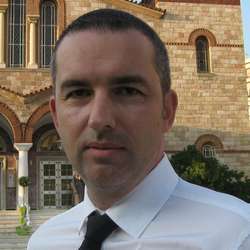 He has participated in numerous national and European projects, like the FP7 project IRMOS (http://www.youtube.com/watch?v=zLn_D3_d4sI) where he has been leading the research on Cloud Networking. Accompanying he is active in Standardization at ETSI since 2006 with more than 50 contributions and since June 2008 he holds the position of the Vice-Chairman of ETSI CLOUD. Since 2007 he has authored and co-authored more than 30 papers for conferences and journals and being member of the Technical Program Committee of multiple conferences, such as: IEEE ICC’12,'13; IEEE/ACM CCGrid’12; CLOSER ’12, ’13, '14, '15; GECON ’10, ’11, ’12, '13, '14; Euro-Par ’11, etc. Furthermore he has filed more than 20 patents. And last but not least I’m a VERY proud dad of a wonderful son!